Explanation: Just opposite the setting Sun, the already-eclipsed Moon rose over the Hawaiian Islands on February 20. 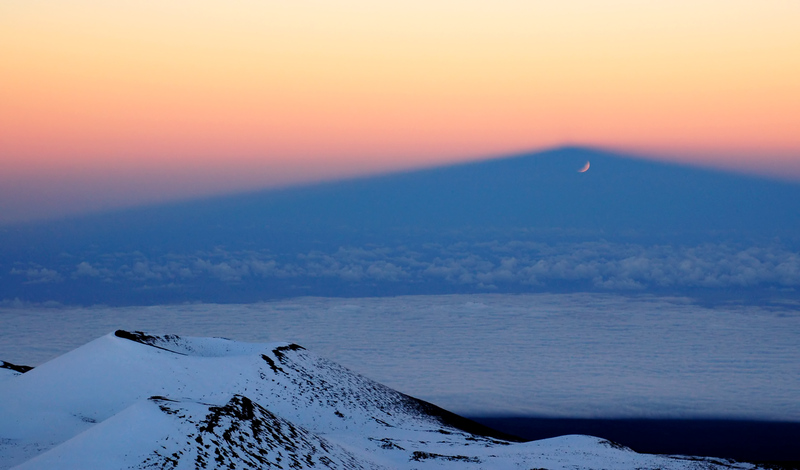 A view near the 14,000 foot peak of volcanic Mauna Kea on the Big Island, a popular spot for astronomers, offered this remarkable play of shadows and sunlight. 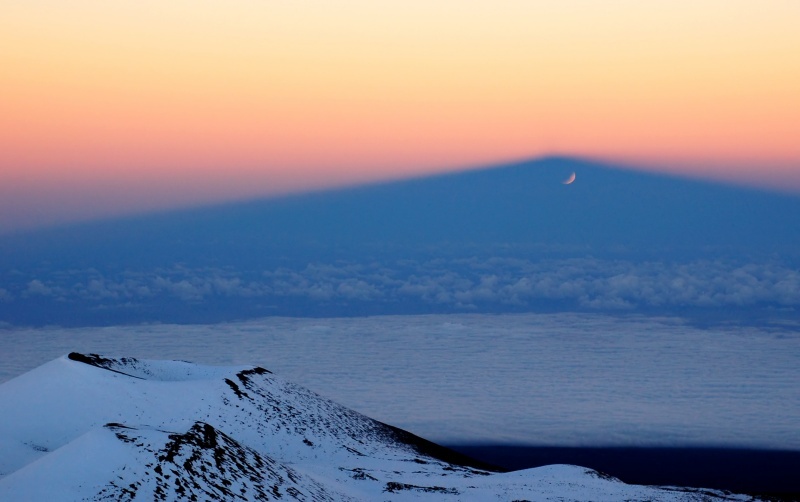 With snowy cinder cones in the foreground, the Moon lies within the shadow cast by the mountain -- a shadow extending across a lower cloud deck and on through Earth's dense atmosphere. As the lunar eclipse is drawing to a close, the curved shadow of the limb of planet Earth itself can also be traced across the Moon's surface, some 400,000 kilometers away.